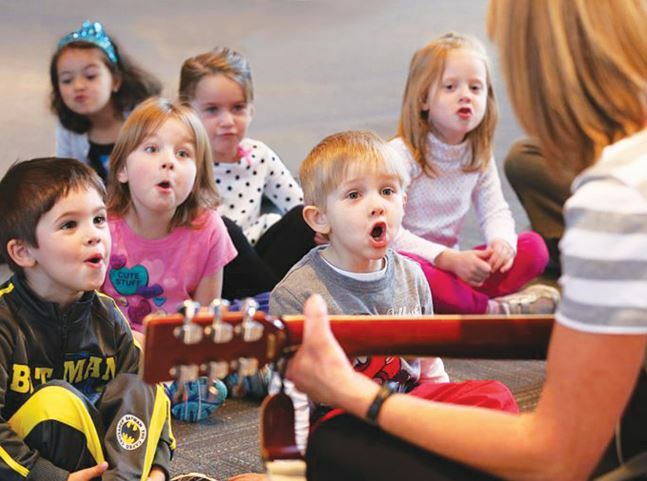 We are excited to offer a special series of story times in April featuring Kelly Robertson, certified music therapist. Kelly will lead little ones in moving, singing, and playing to boost literacy, motor development, and social and emotional skills. After story time there will be a time to debrief and learn more about using music to boost development. Kelly will provide tips on how to use music at home to promote healthy family bonds and help children reach developmental milestones. Story times will be from 10:30-11:30 on Tuesdays April 2, 9, 16 and 23. Open for all preschool children and parents/caregivers.